From Wednesday 9th to Friday 18th of July, several MORPH European project experiments were held in Girona. Their goal was to prepare for the upcoming trials in the Azores islands next September. The Variable Geometry Range Only Navigation (VG-ROF) algorithm was tested with the IST Medusas, the UdG SparusII and Girona500, and the ATLAS SEACAT. 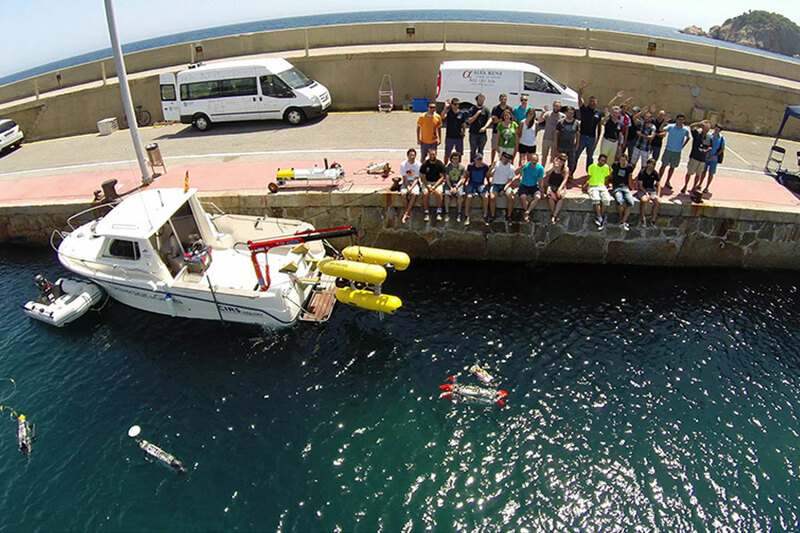 The first three days were devoted to software integration, at CIRS facilities, to have everything ready for the trials carried out in Sant Feliu’s harbor. During the second week multiple missions with different vehicle configurations were tested. The main purpose was to grab images and multibeam data from the seafloor while maintaining the vehicle’s formation. Some tests regarding a new configuration, named USBL formation, were also simulated and tested in water. The MORPH FP7 project is funded by the European Comission on ICT Robotics Programme.